While some people are blessed with mills, lathes and other advanced tools, sometimes the basics are all it takes to tackle a cool fabrication project. 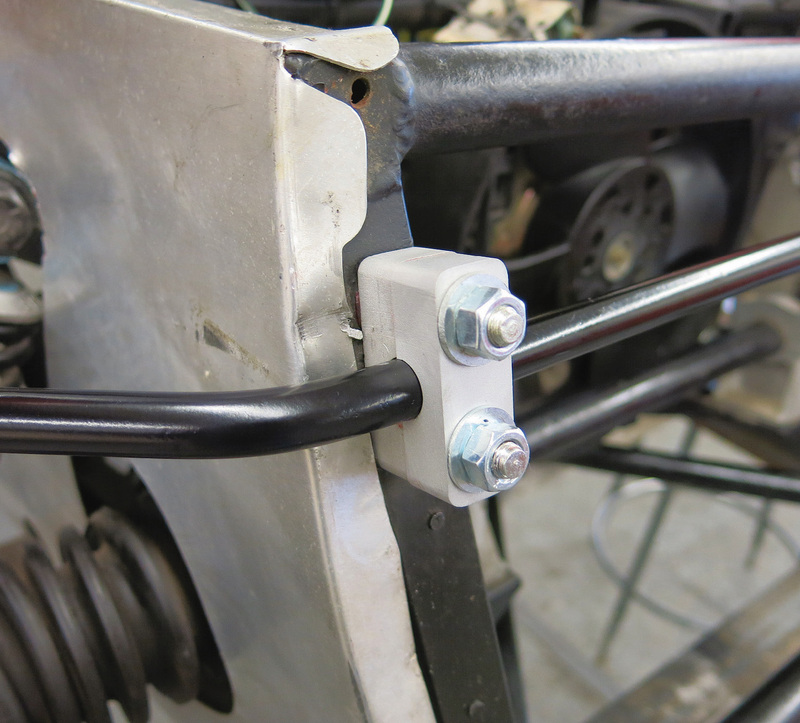 Case in point: We recently needed to make some new anti-roll bar brackets for a Lotus 7. The trick machining equipment wasn’t called out for this one. Instead we just used our horizontal band saw, a drill press and a combination disc/belt sander. 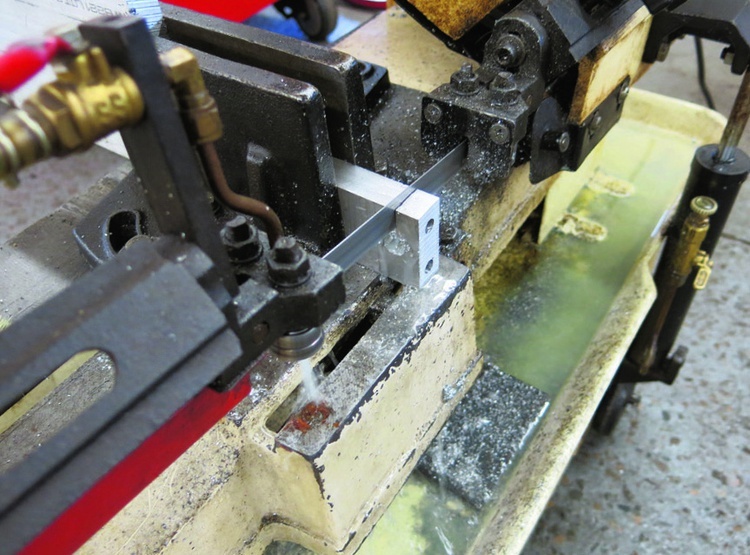 Our brackets started 1 as a length of 2 x 3/4-inch aluminum stock. 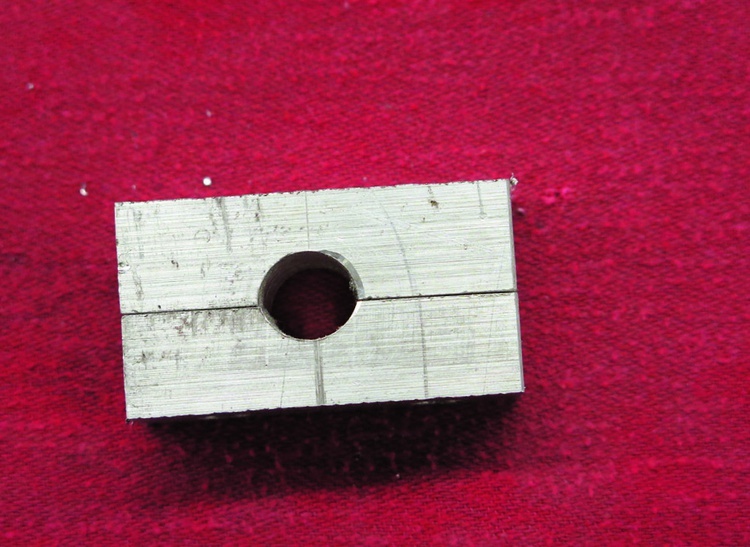 Ultimately we’d end up with two brackets, each made from two 1/2-inch-long pieces. 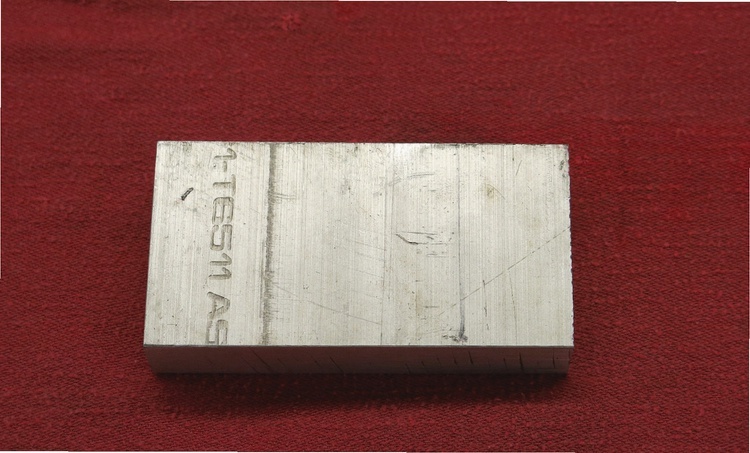 Since that would require about 2 inches of material, plus the width of the saw cuts, we started with a 5-inch piece of stock. That extra length would also give us something to secure to the workbench. We needed two 5/16-inch holes spaced 1 1/8 inches apart, so we drilled them on our trusty drill press. We went about 2 1/2 inches deep so our holes would go all the way through. By drilling these holes first, we knew that all of our bracket pieces would have identical hole spacing. While those 5/16-inch holes would be used to mount the brackets to the chassis, each bracket would also need a 1/2-inch hole for the anti-roll bar itself. 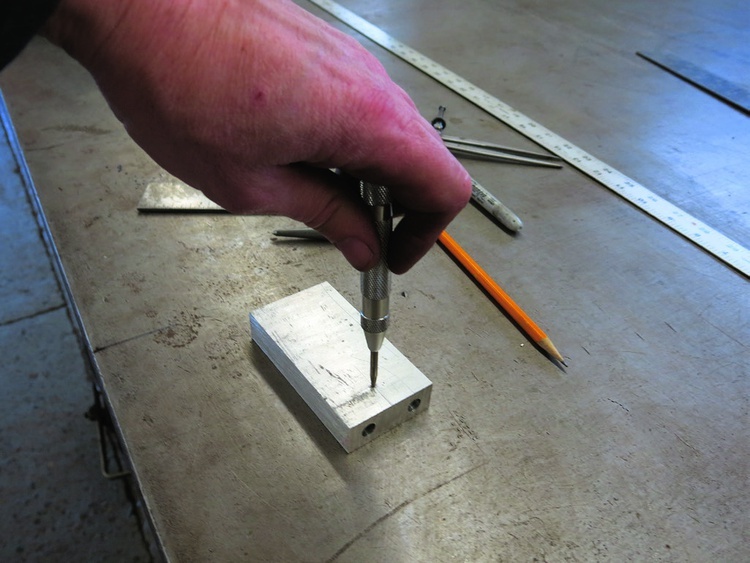 After scribing a line in the right spot, we marked the hole’s location with a center punch. We went back to the drill press to drill the hole for the anti-roll bar. We usually start with a pilot hole and then work our way up to the final size. 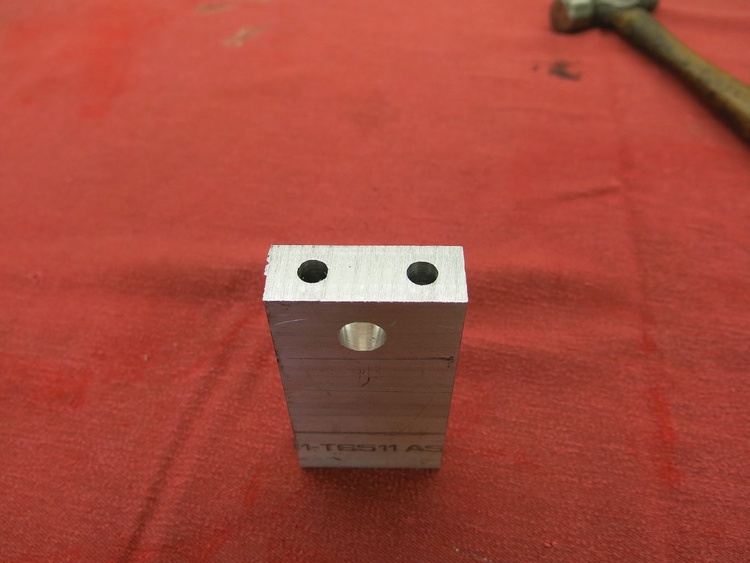 In this case, we drilled our pilot hole with a 7/16-inch countersink drill bit. Countersink drill bits have a 1/8-inch starter that accurately establishes the center; then the bit steps to a larger size. 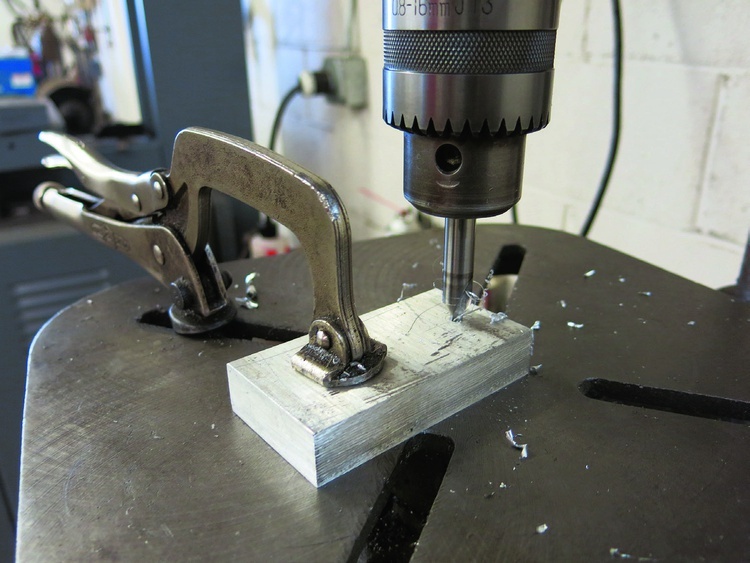 Trained machinists always give us a hard time for using these bits like this, but we’ve found that this method accurately locates our holes. Plus the bits last a long time if we take good care of them. 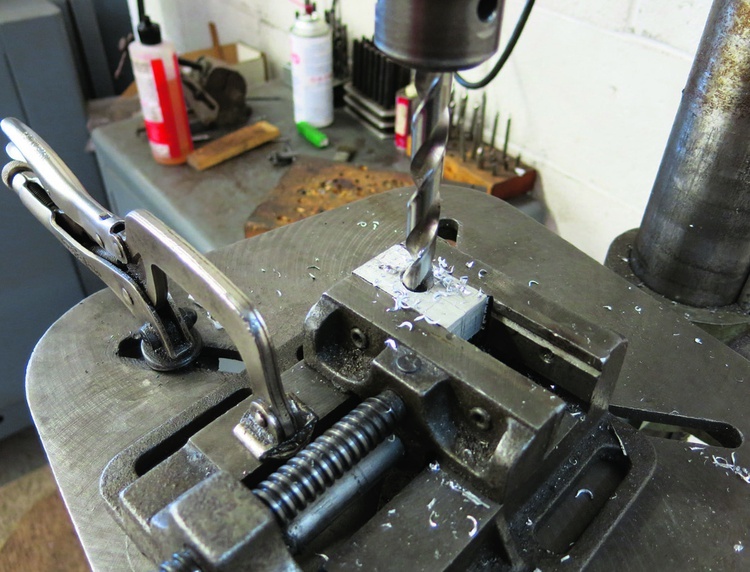 After drilling our 7/16-inch hole, we followed with a 1/2-inch bit–the size needed to accommodate our anti-roll bar. It’s starting to look like a finished bracket: two mounting holes plus another one for the bar. 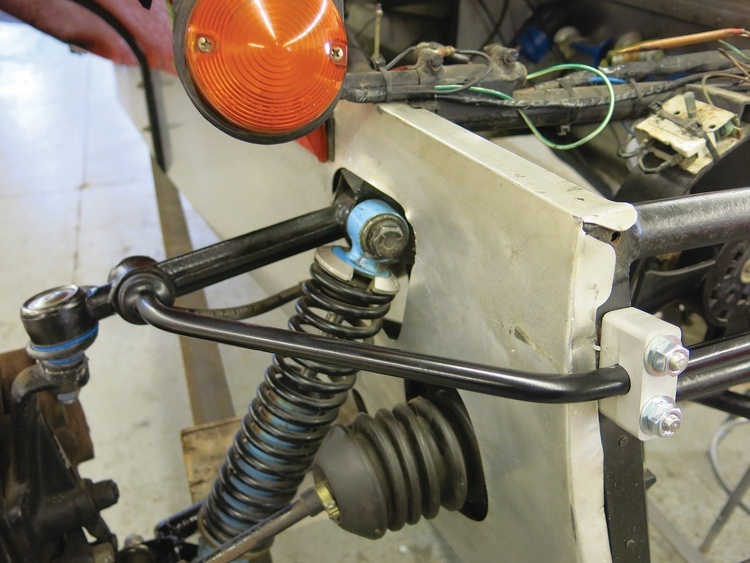 Due to the anti-roll bar’s end link mounts, we couldn’t just thread the bar through our new mounts. We needed to split the bracket into two halves so it could clamp the bar. 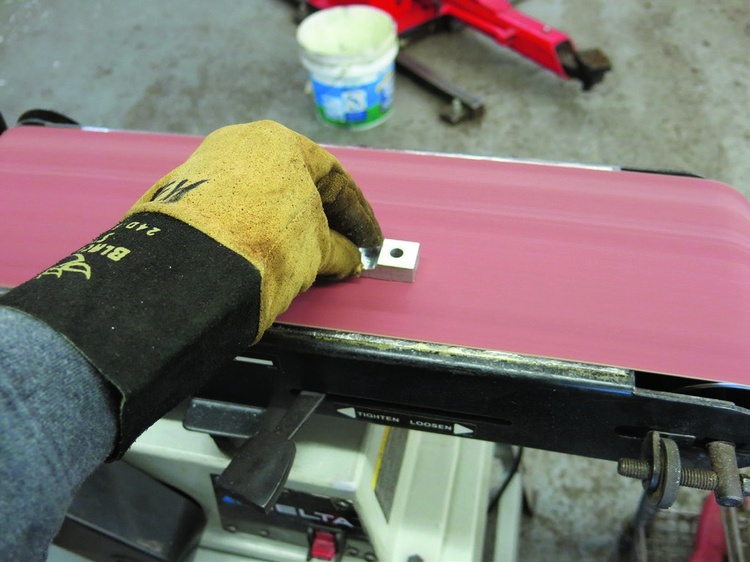 While a hacksaw or cutoff wheel mounted on a grinder would have worked, our horizontal band saw quickly and accurately made the cut. 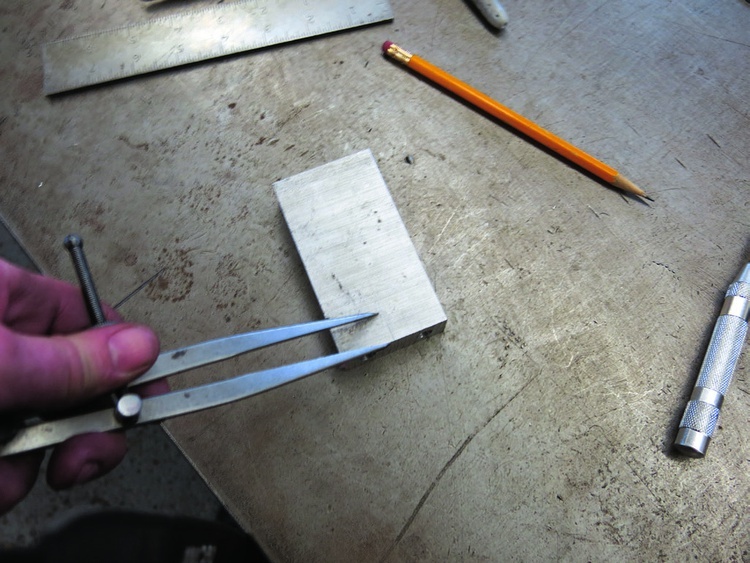 We now had a rough bracket completed, but there was one issue: The saw cut had flattened our 1/2-inch hole. What was once round now resembled a football. Our plan to resolve this was pretty straightforward: We’d just re-drill the hole to 1/2-inch , and make sure that the bar can properly rotate once installed. We cut down some 5/16-inch bolts for use as alignment dowels. 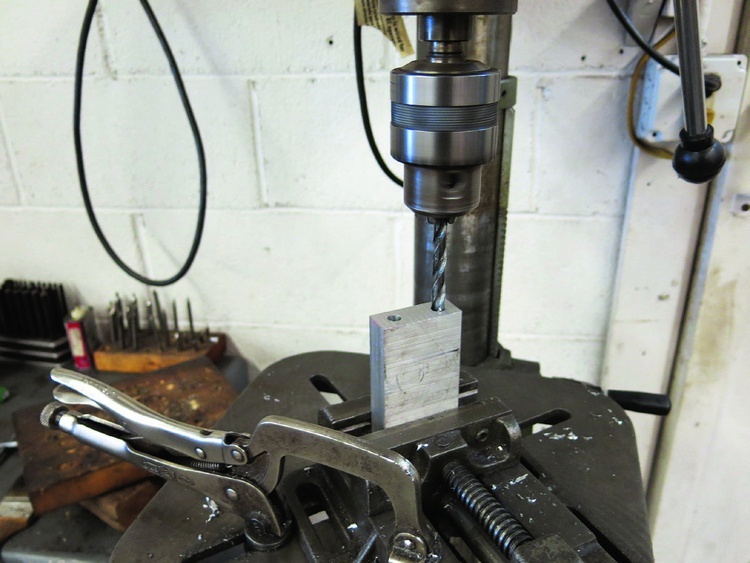 We clamped together the bracket and reamed the hole back to 1/2-inch with our drill press. Why not just do all of the drilling after the bracket had been cut apart? 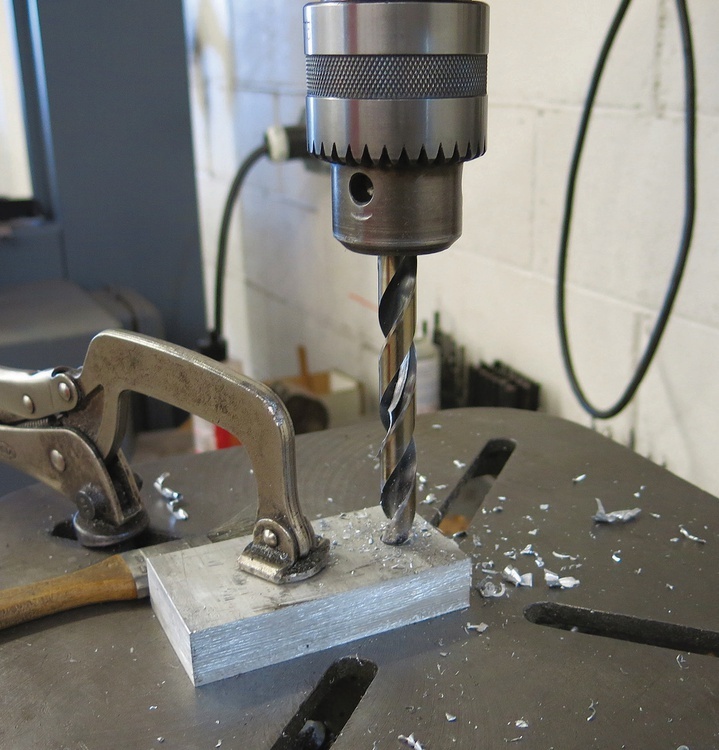 Our experience with our equipment has shown that we get better results doing it this way, since drilling a hole between two pieces of metal is more difficult than re-drilling an already established hole. We now had a bracket that would work, but it looked a bit rough around the edges. 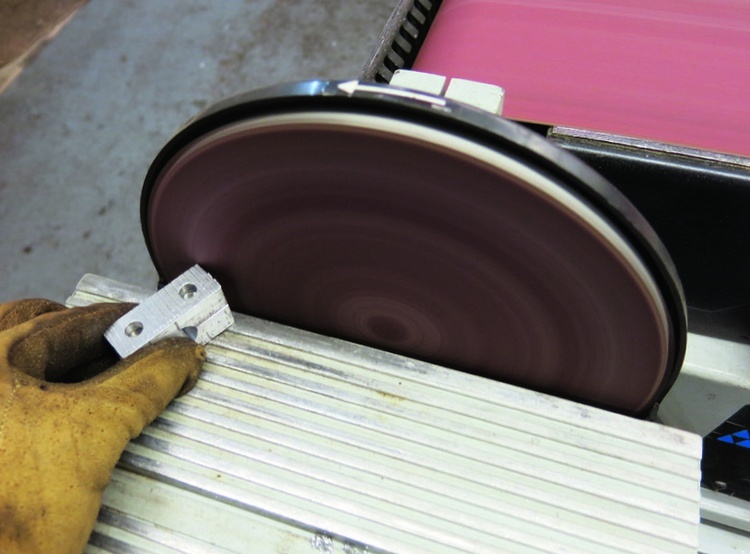 We used our disc/belt combination sander to radius the corners and true up the flat areas. We went through the whole procedure a second time to produce another bracket. The end results looked very nice and fit well. While this method works very well, it does have its shortcomings compared to using more advanced equipment. 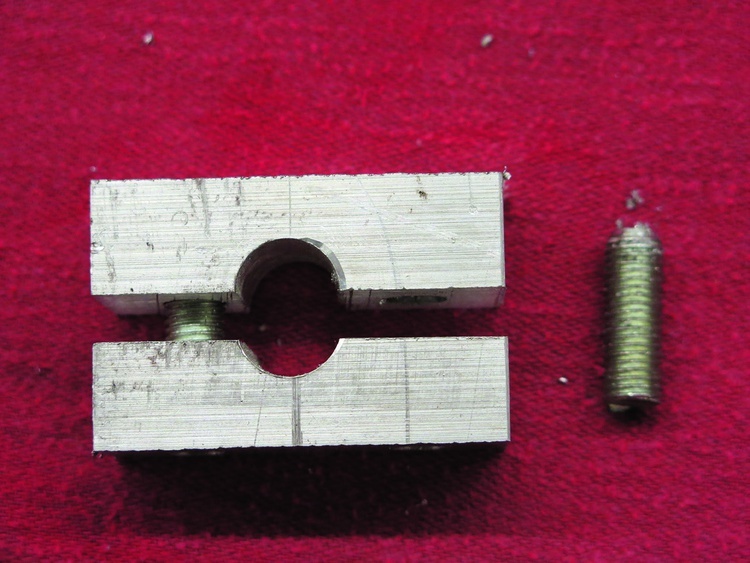 Case in point: While both brackets fit the car and the anti-roll bar, their individual pieces were not interchangeable. Nonetheless, as long as we don’t mix up the pieces, we got a great result. In fact, we’re betting that the factory Lotus pieces weren’t manufactured any more accurately than ours. 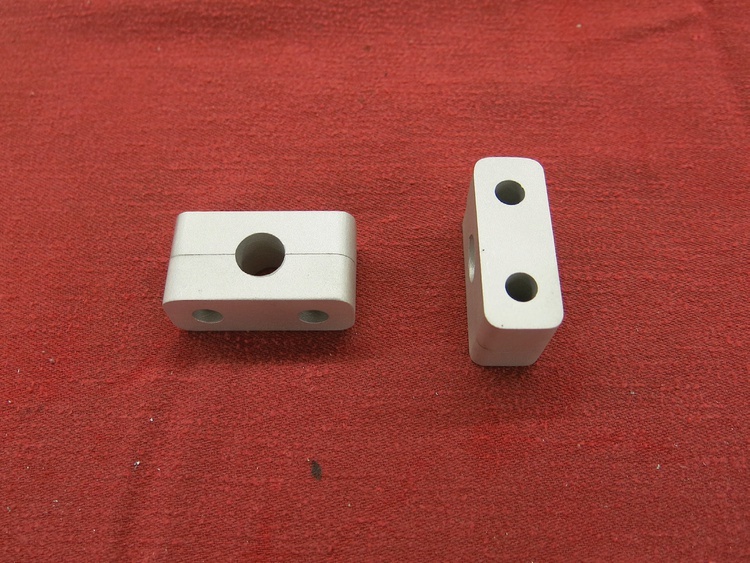 Once installed on the car, our homemade brackets are ready to perform. They look good, too. 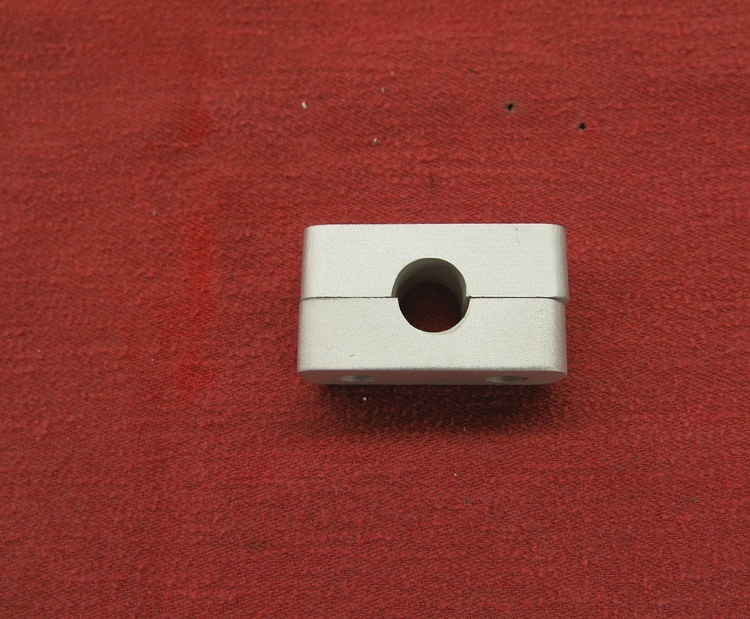 Do you really want a painted steel bar bearing in plain aluminum block? It will work... for a while. That's actually the way Lotus designed them for a 7. We were just reproducing them. So... if it makes it through one race... perfect. Love the how to, only thing is what about friction? Usually there is a grease channel. Are you gonna drill and tap for a grease fitting and channel? You understand the Lotus way. All Lotus jokes aside, I'll say a little more. On an original 7 like this one, Lotus used the sway bar to triangulate the upper suspension arm, effectively making it an A-arm. Chapman always wanted parts to serve more than one function. So it's a sway bar mount and an A-arm mount. If had a rubber or otherwise pliable bushing, caster would constantly change with compliance of the bushing. I get that this is like the original, but "Chapman made it" doesn't mean that it can't be readily improved. At least grease it, as StuntmanMike suggested... after all, what's old British car ownership without lots of maintenance tasks and cleaning off of greasy grime? The use of the sway bar as part of the control arm became pretty common, and it works with a reasonable bushing; of course for a race car something harder than the typical OEM rubber block would be desirable, but there is now this stuff called "polyurethane". ;) There's a rubber bushing between the end of the bar and the lateral arm, right? Why is that okay there - with its resulting compliance - but this mount must be so crude? This guy does not speak Lotus. Do those fancy “bushings” weigh more than air? Then no. BTW that sway bar mount looks a bit overbuilt. You should drill some lightness holes in it until is deforms under load, then subtract one hole. Aircooled, you totally speak Lotus! Half the fun of a Lotus is how it drives and handles, the other half is the thrill/anticipation of the next parts failure. So this is my personal Lotus 7. It's pretty original, which is really rare as most of them have been "uprated." I'm not a restoration purist with this car, but I like to keep it pretty original, because plain-jane original 7s are my favorites. It weighs 1115 lbs. A lot of the "uprated" cars weigh in the 1300lb range (and they still break). I actually took off the 13x6 Panasports and fatter tires and went back to steelies and 155R13 tires. My autocross buddies think I'm nuts, but if I want to be competitive, I run a prepped Miata. If I want to have fun and experience old-school driving styles, the Lotus checks that box. If you wanted to be AR, you could fit split delrin tophats between the bar and the brackets. that's true but take away the oil provided by the engine and it becomes less true. But personally on something like a swaybar I would probably consider adding grease zerks to it and calling it good. It'll work until it doesn't. I think some of you are missing that it works - and has worked - in its original application for decades. At this point a delrin bushing would also have needed replaced. The car is what, 50-60 years old? Why try to improve on something that lasted that long? Plus, this car is really a restoration that I race sometimes, not a race car. The whole reason I built the bracket was because I was going back to an orginal front suspension setup as the car had an uprated (and heavier) set of front A-arms. I ordered some reproduction brackets from England and they were junk, so I thought, I'll just make my own. And I thought it would make a good story, so I took pictures and wrote it. The intent was to show how to make a simple bracket much more than discuss what works best on a Lotus 7. But we've had some good discussion anyway. I did all of this work 3-4 years ago and at the time Vredesteins were pretty affordable and seemed to have the right amount of sticky. I had them shaved to half tread depth and have been happy with them. It looks like they're not available any more. Tire Rack shows a 185/70R13 with a 160 TW, so they're a little big and there could be a rules issues with the TW depending one how fussy you/your club is. I figure Lotus 7s were designed for pretty lousy tires and four wheel drifts were part of the driving technique back in the day. We don't drive that way anymore since tires are so much better. So the $30 off brands may be the better option for the "original" experience.